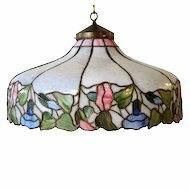 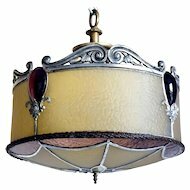 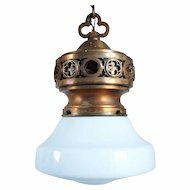 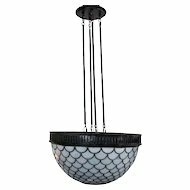 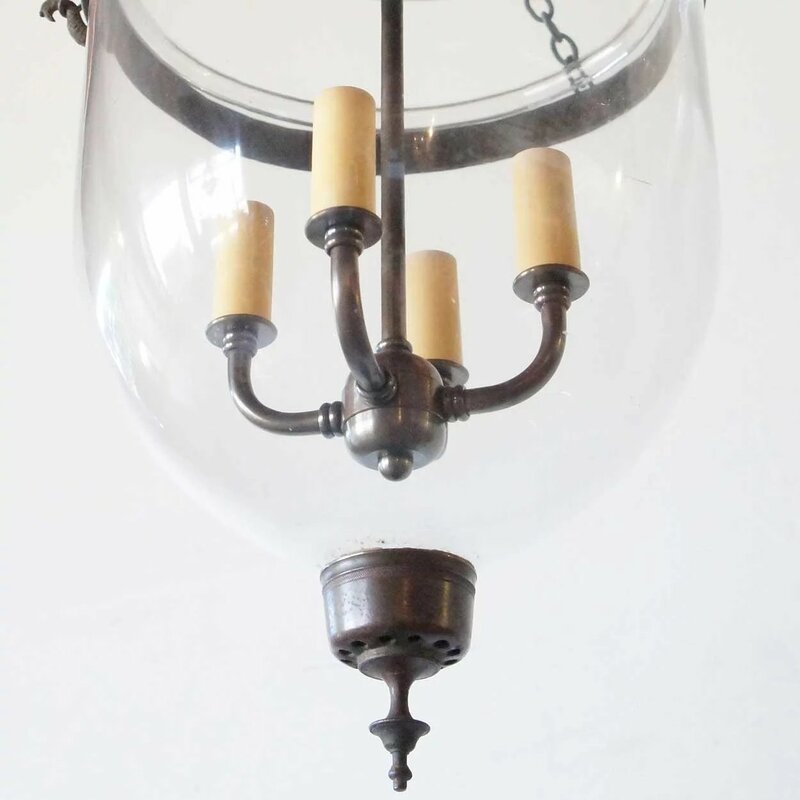 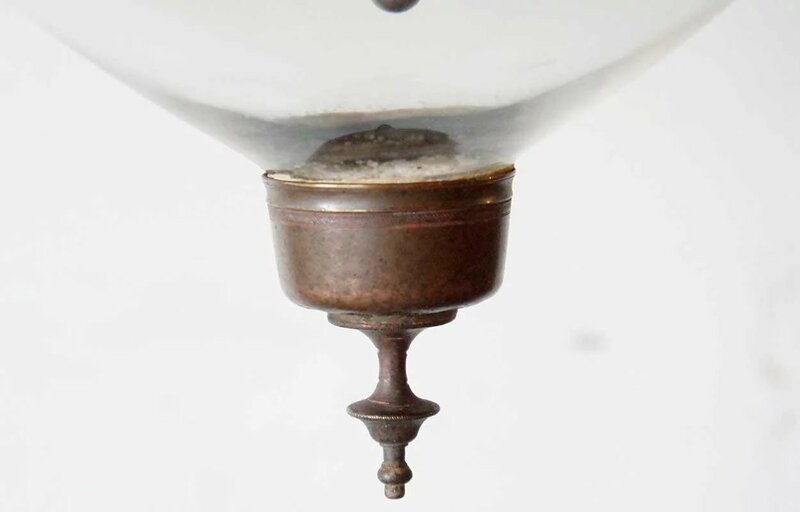 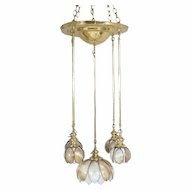 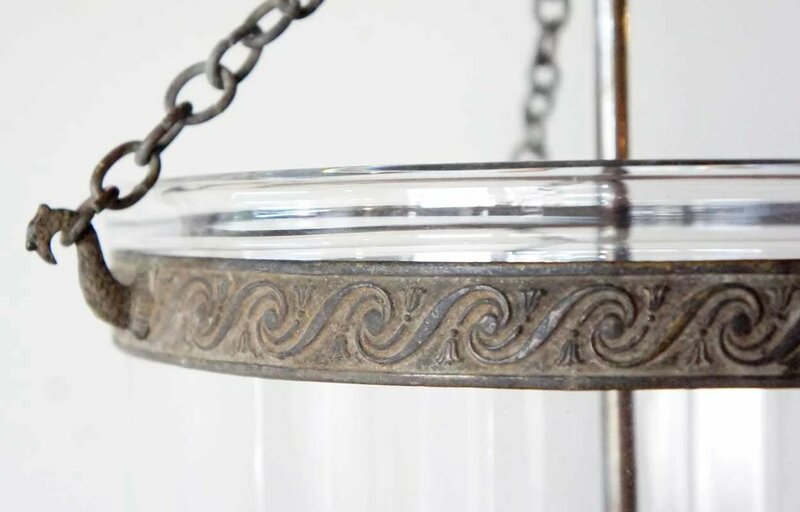 This antique pendant light features a clear blown glass bell with glass terminal, all suspended by a metal collar, chains and glass smoke cap. 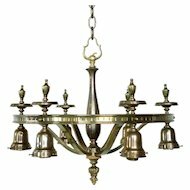 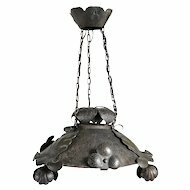 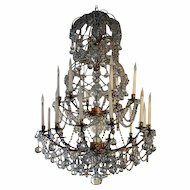 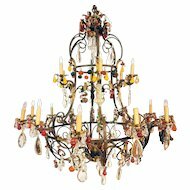 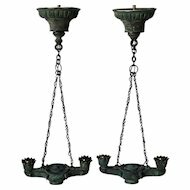 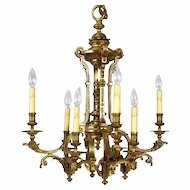 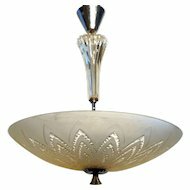 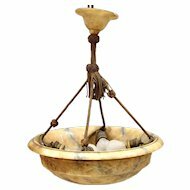 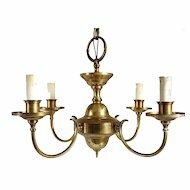 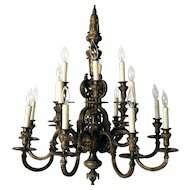 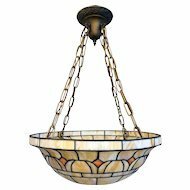 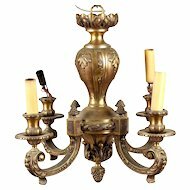 Originally used for candles, this fixture was recently rewired with four lights. 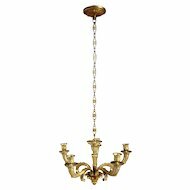 Width 9 Depth 9 Height 21 in.